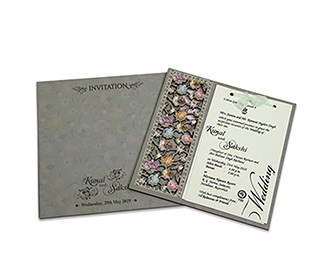 Multi faith wedding invitation for those who would want their wedding invitations to be simple, sober and yet elegant. 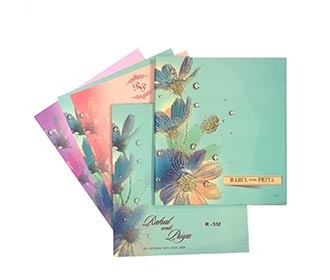 The top of the envelope has a motif in honey dew color. 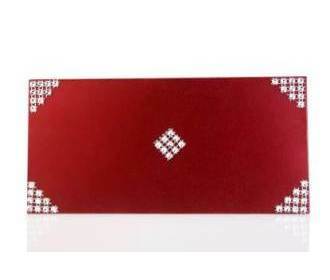 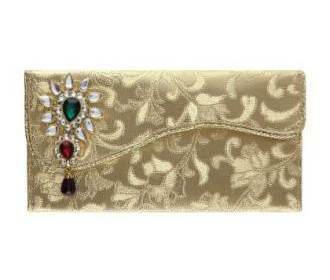 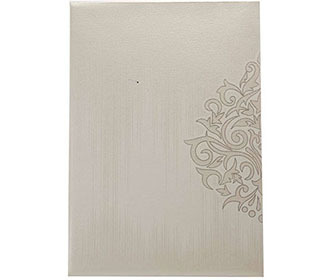 The top of the card holder has embossed motifs in brown and white. 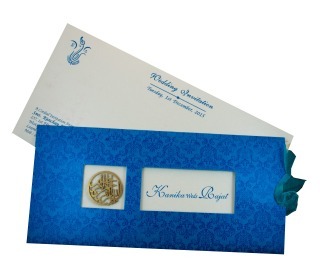 The same motif is magnified and embossed on the right hand side. 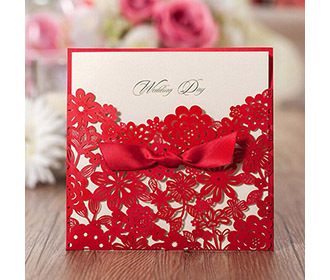 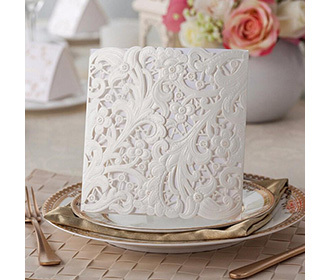 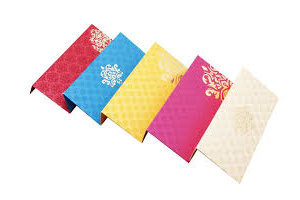 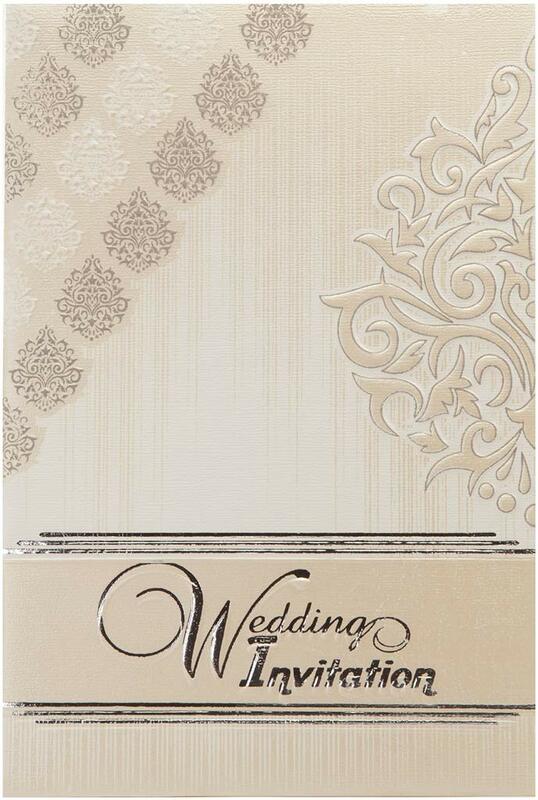 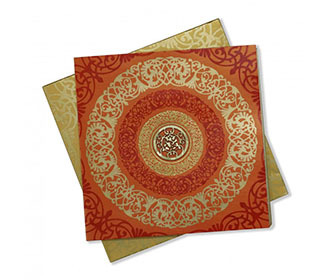 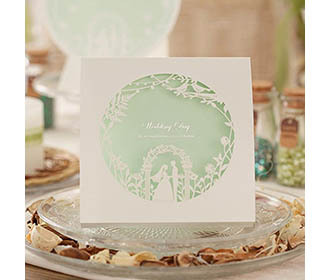 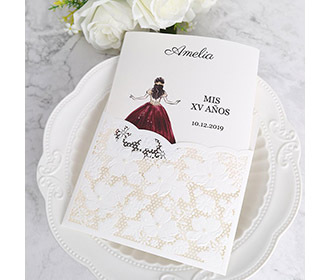 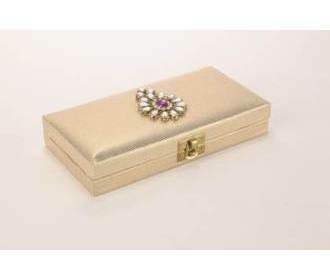 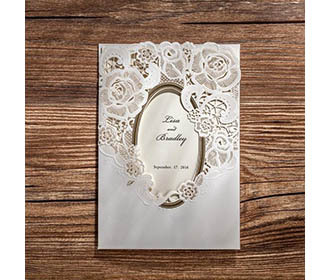 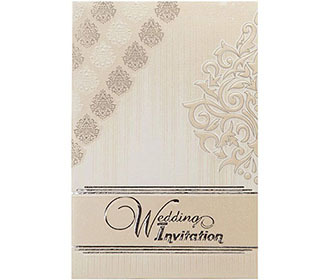 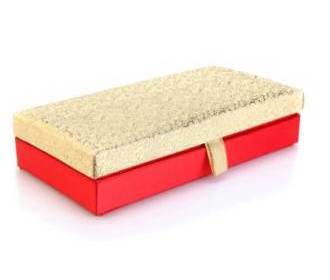 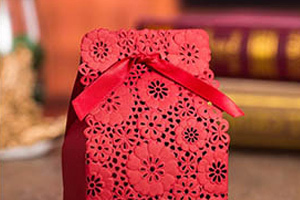 Words â€œWedding Invitationâ€ are embossed in golden. 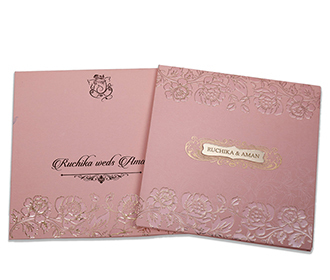 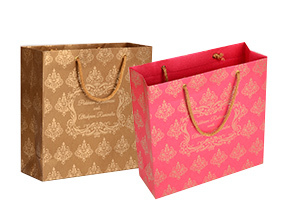 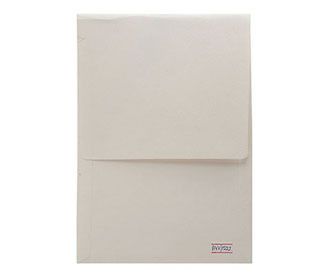 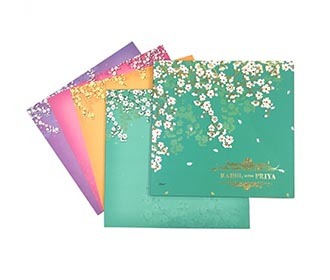 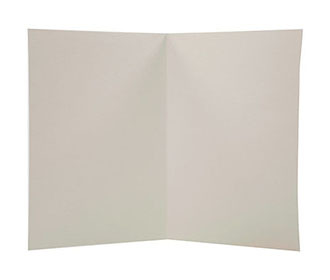 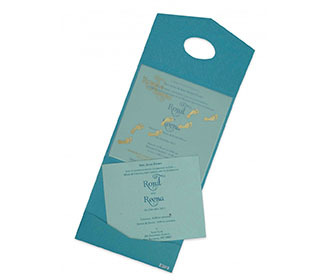 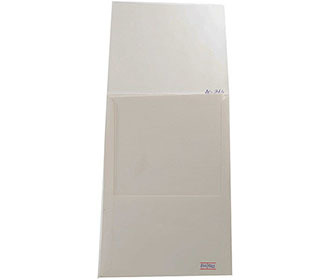 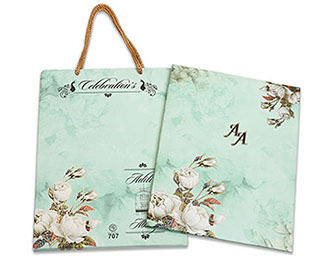 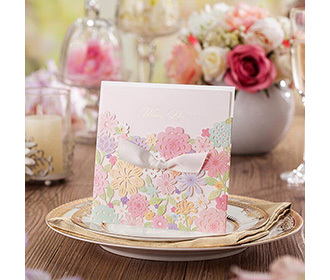 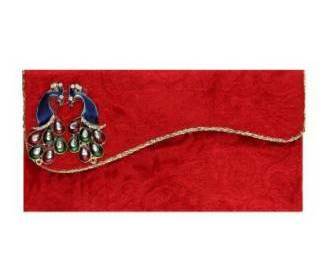 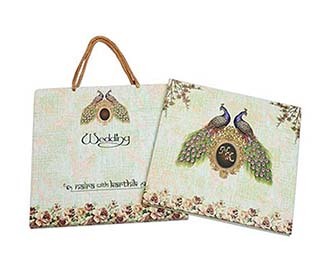 The card comes with one folding insert which can be cut into two to form two separate inserts.